A fun and engaging workshop with arts leader, Elizabeth Doran, President & CEO of NC Theatre in Raleigh, NC. 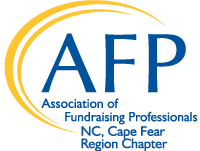 The North Carolina Center for Nonprofits, NC Network of Grantmakers, and QENO are pleased to partner and invite nonprofits to the 2018 Foundation Fair on October 16 at the Warwick Center at UNCW, 601 S College Rd, Wilmington. Akin to a college fair, you’ll have the opportunity to meet and connect with foundations whose missions and funding align with those of your own organization. Learn more about how to prepare and sign up for the morning (10:00-11:45 a.m.) or afternoon (1:00-2:45 p.m.) session. Each organization may register 1-2 staff or board members for one session only. Questions? Contact the North Carolina Center for Nonprofits.